The history of ice cream begins with origins in ancient Persia, while the first ice cream parlor opened in New York in 1776. Warm weather is a valid excuse for many to seek out cool refreshments and treats. 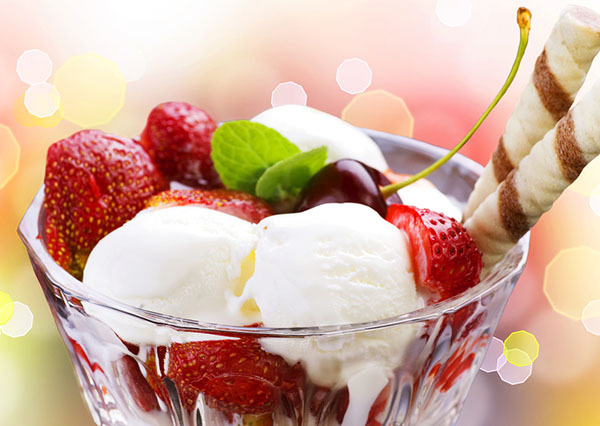 Ice cream, which is considered by many to be the most popular dessert worldwide, has a long and detailed history that can be traced back to as early as 400BC. Though nearly every civilization in the world aims to be credited with the invention of ice cream, earliest remnants for such a concoction appear to be of Persian nature. History shows that by at least 400BC, royals in Persia were known to indulge in cooled, pudding-like syrups blended with snow, rose water and vermicelli. Other flavors were also added to the mix including fruits and spices. It cannot be denied that the Persians were ahead of many known civilization in the art of ice storage and early refrigeration techniques, so it is widely believed that the origins of ice cream begin here. Another early analysis of this confection at its most primitive state can be drawn to China around 200BC. According to the BBC, it’s been reported that a frozen blend of rice and a milky based texture was served. Later on, King Tang, of Shang, China (AD618-97) was known to experiment with several delicacies involving the compilation of milk and ice. Though there is no evidence to back it up, according to Maguelonne Toussaint-Samat, in her book entitled History of Food, “the Chinese may be credited with inventing a device to make sorbets and ice cream.” There are many untrue stories about China’s historical affiliation in the creation of ice cream including an account of Marco Polo bringing the secret recipe and technique back to Italy after visiting Kublai Khan, of the Yuan Dynasty. This story has been widely discredited by historians. The first known reference for ice cream in the AD time period begins with Roman Emperor Nero. According to early accounts dated circa AD62, Nero was known to send slaves up into the Apennine Mountains to gather ice which was later to be flavored and blended with nuts, fruits, honey and other sweeteners. This form of delicacy continued to grow in popularity amongst the Arab world. By the 10th century, Arabs were credited as being the first to create these delicacies using milk and cream as the mainstay for this sweet delight, as opposed to relying primarily on fruits and sugar for flavor. By the 1600s, several recipes for flavored ice were published throughout France. These many variations for “iced cream” include consistencies which are similar to those of: frozen yogurt, sorbet, sherbet, gelato, faloodeh and several others. The idea for iced cream is also loosely extended to include ices (Italian ice, Polish ice, Water ice), smoothies and other similar treats. The first recipe for “ice cream” as it is most widely known today was published in 1718 in Mrs. Mary Eale’s Receipts. First appearing in England, this recipe was brought over to the United States where it was well enjoyed by colonists and notable historic figures alike. Governor Bladen, of Maryland, was known to serve iced cream to his guests as early as 1700. First Lady Dolly Madison even served the popular dessert at the 1812 Inaugural Ball. When caterer Philip Lenzi opened the first “ice cream” parlor in New York City, in 1776, the term “iced cream” was lost in translation, and in its place emerged the newfangled notion of “ice cream.” Ice cream has continued to emerge as a refreshment and nourishment throughout the ages. Unlike many passing trends, the expansion of ice cream (what is considered ice cream and the expansion of ice cream as an industry) has never gone out of style, nor does it show any signs of ever doing so in the future. Though the basic roots for this decadent dessert may be a little ambiguous, the end result of its popularity cross-culturally is unanimous. Tannahill, Reay. Food In History. Stein and Day, 1973. Toussaint-Samat, Maguelonne. History of Food. Anthea Bell. 1994.